While I enjoyed Babara Demick’s book, and found the stories in it compelling and enlightening, a picture she features on page one tells so much that it remains the single starkest image I take from reading Nothing to Envy. I’ve included it towards the bottom of this review. You might want to scroll down and take a look before reading further. Reading Nothing to Envy one is struck again and again by the question just how can this be happening in the 21st century? How can a nation next door to one of the most advanced on the planet be so backward? How can so many people, not just in Korea I suppose, allow this to go on? What possesses men like Kim Jong-il to continue mis-treating his own people? Surely he must realize that his name will go down in history alongside the most villainous, monstrous criminal dictators. Because North Korea is such a closed, secretive society, Ms. Demick must rely on personal stories of those who have escaped it to paint her picture of life there. 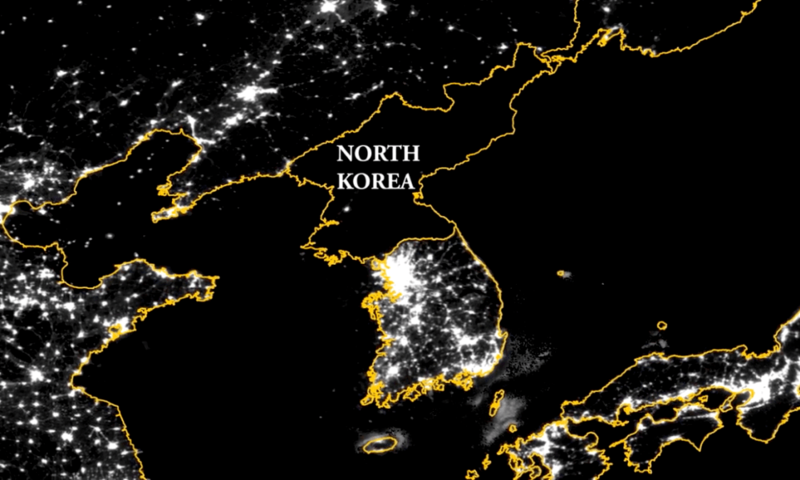 The kinds of statistics most authors would normally use to assess conditions in North Korea are simply unavailable. To her credit, Ms. Demick is up front about this from the start and honest about the limitations of relying solely on the eyewitness accounts of a relatively small group of people. Few manage to escape from North Korea and fewer still make it to South Korea where Ms. Demick was able to interview them. Eyewitness accounts are notoriously unreliable and anecdote should never be mistaken for evidence, but Ms. Demick does her best with the stories she has found to put together a fairly comprehensive portrait of life for average people in North Korea. It’s not a pretty picture. In fact, it’s down right horrible. But it’s also a compelling read and may be an important one. While it’s easy to agree with former president Bush that North Korea deserves to be called evil, it’s difficult to conceive of it ever being a serious threat to anyone. Not anymore. While the country was once doing fairly well, it fell on very hard times once communism began collapsing all over the world and the former communist powers stopped propping up the regime in North Korea. When Nothing to Envy was written the nation was in the midst of a famine, an economic crisis that left just about everyone unpaid if not unemployed, and a series of power failures that kept the lights off all over the nation for all but a few hours each month. Just how can that happen in the 21st century? The answer is of course a powerful dictator, powerful enough to control almost every aspect of daily life for those who live under his rule. For example, the few televisions and radios sold in North Korea are altered so that they can only get the state-run signals, no one is allowed the technology that would make it possible to telephone people outside of North Korea, and education is fully controlled by the state which publishes textbooks full of the official version. It’s almost impossible to imagine how someone living in North Korea could even conceive of a reason to rebel. They are taught all their lives that their country is the best one on earth and have almost no way of knowing otherwise. Unless they manage to get to the border with China. During the severe famine that struck North Korea, some of those Ms. Demick writes about managed to make it to the riverside town at the border of North Korea and China. They could stand, starving in North Korea and look across the river at the rows of corn and other produce growing tall in China. One starving woman makes it across the river to the home of a farmer where she finds a dog bowl full of rice and meat near the gate of the house. The dog bowl is full of more food than she has had in some time. She immediately decides to abandon her life in North Korea forever. While their stories are harrowing, because Ms. Demick’s book is based on the lives of those who escaped, there are generally happy endings all around, bittersweet perhaps, but happy. Kim Jong-il can’t last forever. One hopes for more happy endings for ordinary people in North Korea very soon. I first ran this review on my old blog Ready When You Are, C.B. back in 2010. Since starting this new blog, I’ve been slowly migrating all of my reviews over here. I thought that since North Korea has been in the news so much of late, I’d push Nothing to Envy up to the top of the old review queue. Next Next post: Role Models by John Waters.